Buckingham Accident Repair Centre is here to repair everything from a small dent or scratch to major accident damage or major restoration. We have the right facilities to repair all makes and models of cars and light commercial vehicles. 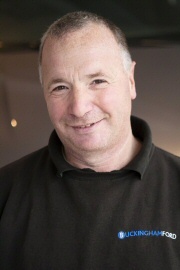 If it is a classic car complete restoration project in mind, we can repair it at highly competitive rates. 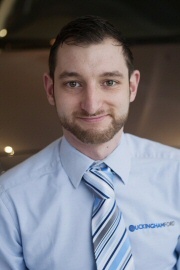 Kieran Hatton, Centre Manager, will personally take-over the entire insurance claim and repair process, communicating directly with insurance companies or third parties, to ensure a fast, efficient and hassle-free service, freeing your time up to focus on what's really important in your life. 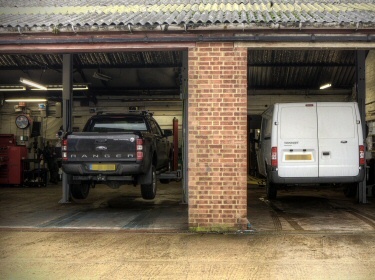 When you bring your vehicle into Buckingham Accident Repair Centre, we will prepare a detailed repair estimate for you free of charge. We make the recommendations and then you can make the decision! Providing you with regular updates means you are informed of the progress of repairs until completion, when your car will be returned to you after valeting. We can provide you with one of our courtesy cars to keep you mobile for the duration of your repairs, subject to availability. Or, we can also offer you our Collect & Delivery Service to ensure any inconvenience resulting from you not having your car is kept to a minimum. If you contact your insurance company, they may try to get the repairs done at the lowest possible price without caring as much about the quality of the repair as you do. You do not need to use your insurance company's favored establishment, so look after your car and not the insurance company's profits! It is vital to have your vehicle repaired in a manner that returns it as close to factory specification. Our skills, facilities and equipment are the very best available and our quality control is maintained at the highest possible level. State of the art computer aided estimating equipment, body alignment jigs, vehicle lifts and paint ovens are all staffed by qualified craftsmen to ensure we return your accident damaged car to "as new" condition. 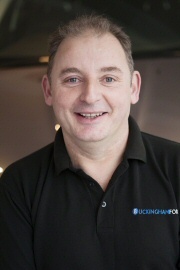 Building upon our established reputation for high quality workmanship and exceptional customer service, Buckingham Accident Repair Centre offers a complete management service for your damaged car and will return your vehicle safely back on the road. 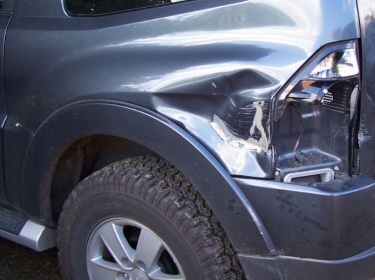 Why Choose Buckingham Accident Repair Centre? It is vital to have your vehicle repaired so that it returns to you right. This ensures that the vehicle will react in the way it was designed and built to do - your safety is paramount. FACT: A number of insurance companies may try to redirect you to their own body shop to get the repairs done at the lowest possible price; however, it is your legal right to make your own choice of repairer. Our staff are trained in accordance with Ford Motor Company's exacting standards and have many years' experience and knowledge of repairing all makes and models of vehicle. Our equipment is approved and stringent annual audits / inspections are carried out to ensure total compliance with regulatory standards. We will use only genuine parts and not copy panels during the repair process to ensure any warranties are retained. 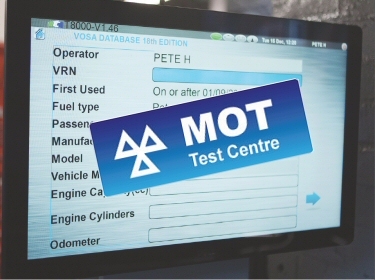 Your vehicle will be repaired in accordance with manufacturers and insurance companies strict guidelines, guaranteeing all safety features in your vehicle are reset correctly. S.M.A.R.T or Small to Medium Area Repair Technology is a revolutionary way to repair vehicles that have experienced small-scale localized damaged to areas such as bumpers, trims, windscreens, corners of doors and alloy wheels disappear from your car. Our SMART repair service is designed to be a quick, one-day turnaround avoiding the full body-shop process. 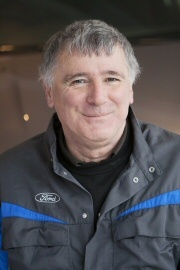 I started here when it was Phillips and sons before Mike and Ian came along in 1996 and took over the Ford franchise. Like Grant I was here in 1996 when Buckingham Ford started, I went to school in Buckingham and live here with my family. We get such a wide range of work here from a full re paint of an E type Jaguar, spraying a combine harvester to colouring a replacement door mirror, there is always something different to do. 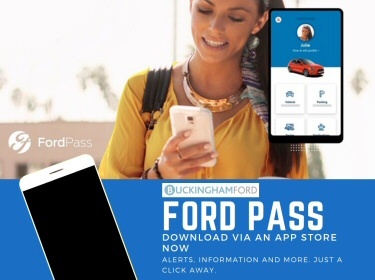 I have brought cars and had cars serviced with Buckingham Ford and have always found them honest, reliable and offering a great service at a value price.